Marketplaces and prices shown matched UPC number 190149159308 during our search. Kids Tactical Vest for Nerf. Nerf Collection Cosplay Party Christmas Gift. Package includes: 1 x tactical vest + 2 x quick reload clips + 1 x hand wrist band + 1 x protective glass / vision gear + 1 x tactical mask + 50 x refill bullet soft darts. 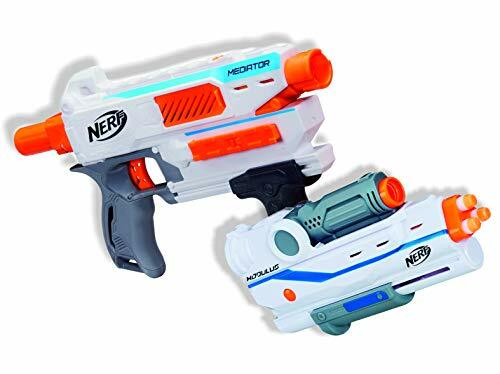 Both the straps and wrist band are adjustable fits to most sizes, the Quick Reload Clips can storage 6/12 darts each and work with all Nerf N-Strike Elite blasters and most original N-Strike blasters. Tactical kit lets you carry along lots of extra firepower and ammo, adjustable waistline style vest, fitting for age 8+. The quick reload clip can storage up to 6 / 12 darts, the hand wrist band up to 8 darts. 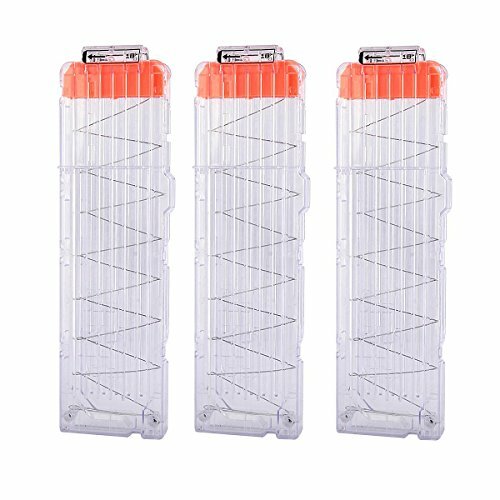 And the 50pcs refill bullet soft darts are new upgrade type, the head was specially designed so that the impact force can be buffered and increased security. 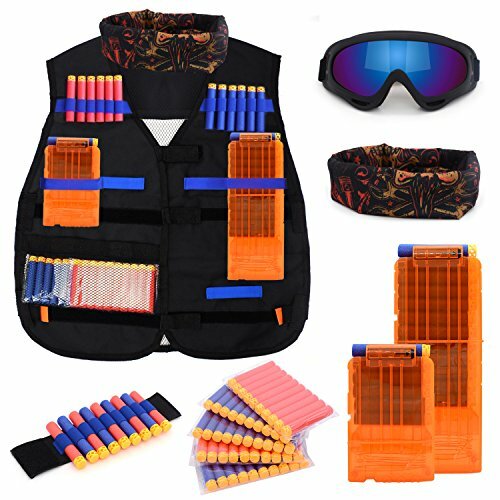 Package includes: 1 x tactical vest + 2 x quick reload clips + 1 x hand wrist band + 1 x protective glass/vision gear + 1 x tactical mask + 50 x refill bullet soft darts. 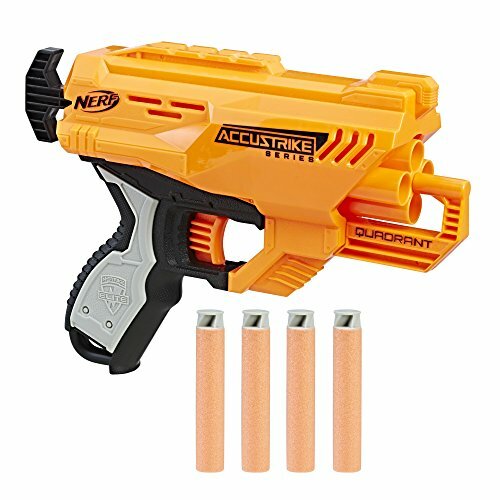 Both the straps and wrist band are adjustable fits to most sizes, the quick reload clips can storage 6/12 darts each and work with all NERF n-strike elite blasters and most original n-strike blasters. The quick reload clip can storage up to 6 / 12 darts, the hand wrist band up to 8 darts. And the 50pcs refill bullet soft darts are new upgrade type, the head was specially designed so that the impact force can be buffered and increased security.